Le Troquet is a friendly neighborhood bistro in the 15th arr. Don’t bother calling for a reservation – you don’t need one, and whoever picks up the phone will not speak a word of English. The language barrier continues as you glance over the menu board, so just point (nicely) to whatever looks good on a nearby table. If you need extra help, the lovely British woman to your left, or the pink tie wearing Frenchman to your right will save the day. The pea soup with bacon bits and almond slivers is served cold, in an enormous tureen. Get it, just so you can be the person with the tureen. 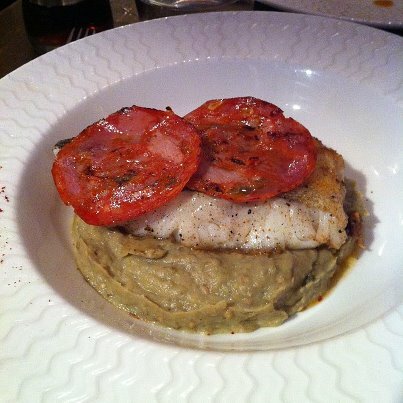 If they have the cod with eggplant puree and chorizo (below), don’t hesitate. The French are quite adept at making what could have been a healthy meal into an artery clogging feast, so while it is fish, it’s not exactly light. 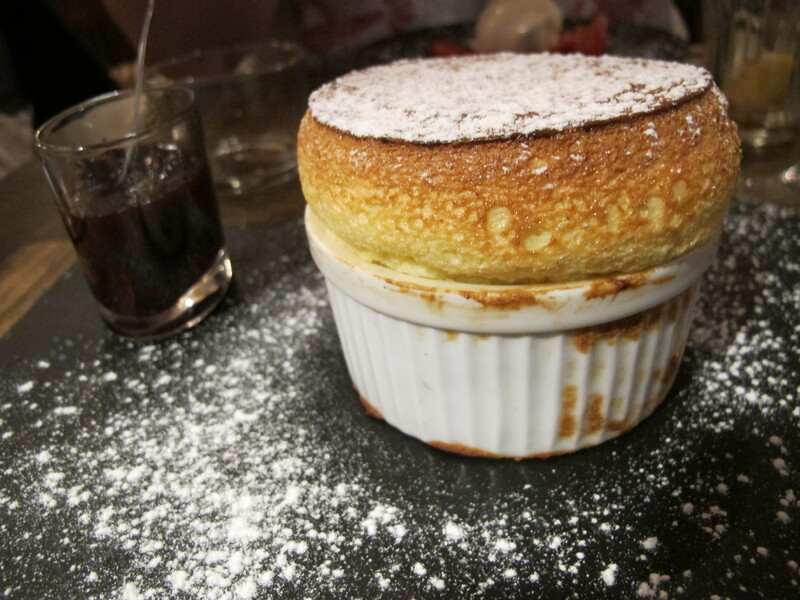 And when it comes to dessert, the vanilla souffle with cherries was one of the best desserts of the entire trip. The 15th arr. is a bit off the beaten path, but for a true Paris experience, it’s worth the trek.